I heard Bill Maher say this on his show “Real Time” and it got me to thinking. First of all, Maher is proposing a straw man argument. Yes, there is quite a bit of stuff in the bible that is contradictory to modern morality and even to itself at times. To use that as a strike against the Bible assumes the Bible is supposed to be interpreted literally. Some people espouse this viewpoint and to them, I assume Maher’s argument is difficult to circumvent. But certainly all Christians do not agree that the Bible is to be interpreted literally. So this argument cannot really be used to refute Christianity or (as I suspect Maher is implying) religion in general. Second this argument is painting religion in a purely intellectual framework. I would argue that religion makes more sense on the emotional and spiritual levels than it does on the intellectual. To me, religion seems to come from the limbic system whereas science and logic come from the prefrontal cortex. That is, religion comes from an emotional, primitive part of the human conscience. It comes from the place that wants to connect to its source, the infinite unknowable that is reality. I suspect those inclined towards religion feel an emotional need to connect to this unknowable something. In this way, faith is a feeling more than an intellectual belief. Because this something is unknowable, I see religion as a tool created to relate to that something. This statement might be true but I would argue religions are products of the culture in which they arose. We live in a big complicated universe that we don’t understand. At the same time we feel more comfortable when we understand things so we frame the unknowable according to things we understand and what we understand changes over time and from culture to culture. That is why Christianity is different from Judaism, Islam, Hinduism, Buddhism and even Scientology. Religions are different because the infinite unknowable is unknowable. Science is the same from culture to culture because the material world is knowable. 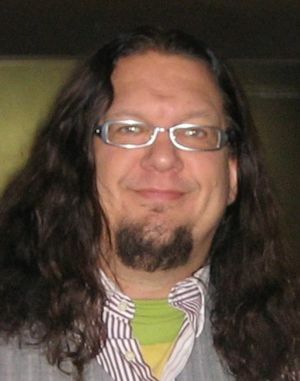 As such I do not see Penn Jillette’s statement (even if true) to be a particularly effective in terms of undermining the case for religion. Really, the only honest position is agnosticism because we cannot know for sure what is the true nature of reality and if there is something more than material existence. But agnosticism is neither interesting intellectually or satisfying emotionally. So those inclined towards religion choose religions (usually) connected with the culture they live in. That does not mean that religion is wrong or untrue. It means we are trying to have a connection with the infinite unknowable on some level. The final point I’d like to make is that it is probably impossible for a person inclined towards religion and a person not inclined towards religion to find common ground on an intellectual level. This is not something that an honest debate can solve in most cases. This is precisely because religion is emotional at its core. I suspect atheism is also emotional at its core in the case of Maher and Jillette given how they argue their points of view. I have respect for anyone’s belief. It seems that statements like Maher’s and Jillette’s come off a bit snarky and judgmental. They seem to observe religion from a purely intellectual vantage point and from there it is easy to claim religion is nonsense. I certainly do not want to say they are wrong for doing this. I guess I would rather they not support their beliefs by attempting to shame those who disagree.